Costa Rica will play the Netherlands in the quarter-finals of the World Cup after defeating Greece on penalties. The game had finished 1-1 after normal time following Sokratis Papastathopoulos’s injury-time equaliser for Greece. Bryan Ruiz had side-footed Costa Rica into the lead before team-mate Oscar Duarte saw red for a second caution. 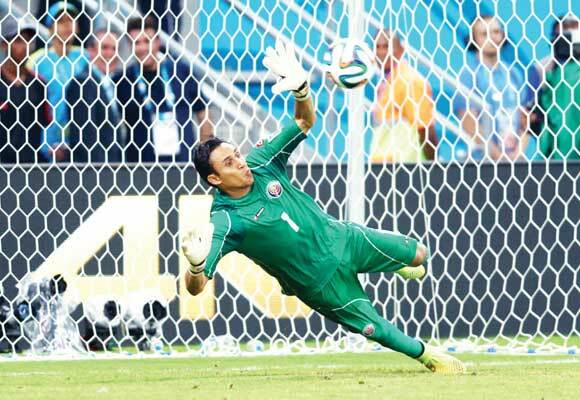 Extra time failed to separate the sides but Theofanis Gekas missed, allowing Michael Umana to win it for Costa Rica. Costa Rica hung on with 10 men for much of the second half and all of extra time. Los Ticos took the lead in the 52nd minute when Bryan Ruiz placed a low shot in the corner, but then went down a man when Oscar Durate earned his second yellow card in the 66th minute and was dismissed. Greece equalized in this 90th minute with a nice goal by Sokratis, and the teams played even until penalty kicks.